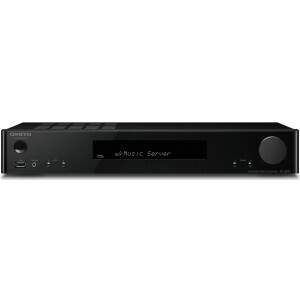 Onkyo TX-L20D is a network stereo AV receiver is a slimline stereo solution that offers universal audio casting and allows you to enjoy almost any online audio source instantly. Onkyo TX-L20D is a slimline stereo solution that offers universal audio casting while adding 85W x 85W of musical power to any audio source... just add speakers! The TX-L20D packs high-value features into a stylish and unobtrusive amp that’s smaller than some BD decks.